Your tour will start riding an open-air gondola from the ground to the highest point of the mountain, exploring and discovering amazing views of the forest, Arenal volcano and much more. 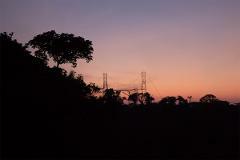 From the top, you will start riding down a unique zipline circuit that stretches across canyons, and in between treetops. It truly is an exhilarating adventure. You’ll ride 7 cables that go up to 100m (328ft) in height and 750m (2460ft) in length where you will be impressed by its heights, speeds that go up to 70km/h (43.5mph), and views, like in no other place. It is the first tree climbing park in Costa Rica. 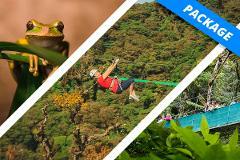 It represents not only a new adventure but a totally unique way to enjoy nature and the rainforests of Costa Rica. Explore nature while having fun and living an adventure. At the climbing park you will have available a total of 4 trees, all different from each other, not only in species, but in height and in difficulty. 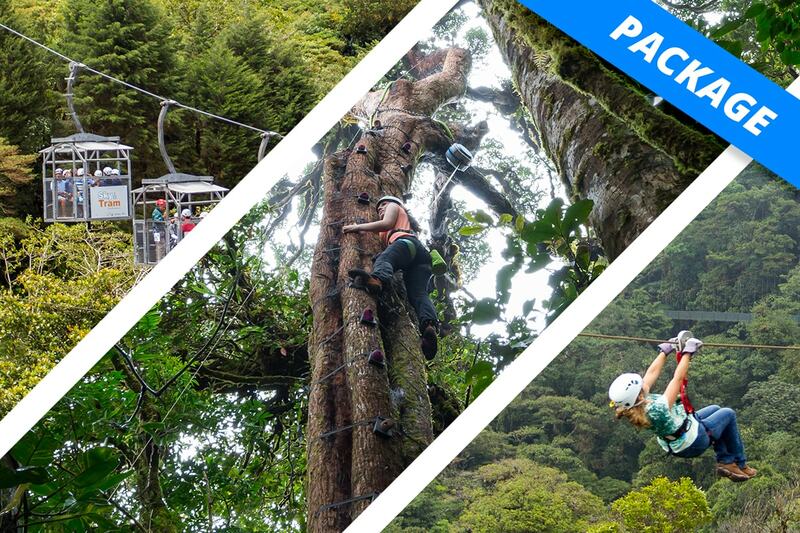 7 ziplines on an amazing adventure circuit & 8 amazing trees to climb all different from each other. Mountain to mountain and canyon crossing cables. The tree climbing system used does not harm or damage the trees in any way and doesn’t affect the ecosystem. 4 trees are available that go from 10m (33ft) and up to 20m (66ft) high. Trees are unique; therefore each one has its own experience. All participants on the tree climbing adventure are attached and secured to an automatic belay system specifically designed for climbing.